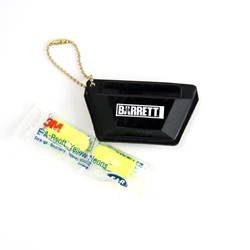 This pocket-sized pouch fits earplugs perfectly so you can take them anywhere hearing protection is important. Comes with rubber pouch, small chain and 2 soft earplugs. Earplug colors may vary.